No one would take on his case ... until one man was willing to take on the system. $12 million on -unknown- screens. If an actor changes his or her weight, it’s a good way to ensure Oscar success. Some gain pounds for roles, ala Robert De Niro in Raging Bull or Charlize Theron in Monster. On the other hand, Tom Hanks went in the opposite direction for his role in 1993’s Philadelphia, a performance that earned him the first of two consecutive Best Actor Oscars. Hanks plays slick workaholic corporate lawyer Andy Beckett, which means he faces off against low-rent, ambulance-chasing attorney Joe Miller (Denzel Washington). Andy’s very successful at the firm of Wyant, Wheeler, Hellerman, Tetlow and Brown, where he makes senior associate and gets a plum copyright infringement case. He’s fondly supported by partner Charles Wheeler (Jason Robards) and clearly liked by all the other staff. Though all seems excellent in his professional life, Andy’s health starts to falter, as represented by facial lesions and diarrhea. He ends up in the hospital, which is what ultimately leads him to problems at work when he appears to botch the copyright case. The movie leaps ahead a month, as we see a little more about Miller. His wife Lisa (Lisa Summerour) gives birth and we learn that Andy tries to contact him. The pair meet for a consultation, which is the first time we’re formally told that Andy has AIDS. He meets with Miller to discuss a wrongful termination suit that he’ll bring against his former firm; they fired him after the issues with the copyright suit. The firm claims they ditched him due to case mismanagement, but Andy strongly suspects it occurred due to his medical status. In flashback, we see the change of attitude on the part of Charles and the partners as they give him the boot, and he tells us that he thinks the folks at the firm intentionally sabotaged the copyright case to give them a reason to fire him. Due to his own prejudices, Miller passes on Andy’s case. We see his fears of AIDS and his general homophobia. However, when Joe observes a little racism tossed his way at a library and then watches the negative treatment accorded Andy in the same circumstance, he decides to ignore his biases and take the case. The rest of the film follows their pursuit of justice and the obstacles they encounter as well as Andy’s attempts to deal with his failing health. If I wanted to find one term to describe Philadelphia, I’d use “well-meaning”. This is one of those movies that lectures more than it does entertain. Director Jonathan Demme struck Oscar-gold with his prior flick, 1991’s The Silence of the Lambs, and Philadelphia seems intended to repeat that success. It’s the kind of socially-conscious material that the Academy loves, and Oscar rewarded the filmmakers to a moderate degree. As I noted, Hanks took home a prize for his work, and Bruce Springsteen also got the victory for his title song. The movie grabbed three other nominations as well, though not for Best Picture. I don’t remember what I thought of Philadelphia when I saw it theatrically, but I didn’t care much for it now. My main problem stems from the simplicity of its depictions. The film sets up matters in a very black and white way and allows for little subtlety. Take Andy himself, for example. He’s about as perfect a character as one could imagine. As far as I can tell, he made one - and only one - mistake in his life. During the movie, he also shows one - and only one - sign of fear about his fate. Otherwise, he’s the perfect guy with the perfect boyfriend and the perfect supportive family and perfect caring friends. I totally understand why the filmmakers take this bent. For one, gay characters usually receive rather cheesy and/or negative treatment in films, so I can see why they’d like to present a positive depiction. This also allows for the film to attempt to get beyond the issues that might cause viewers to think Andy “deserves” his AIDS; a seedier character would earn less sympathy from the audience. Nonetheless, Andy becomes such an idealized personality that the movie takes on a sickly-sweet tone. Everything about Andy and all around him is so wonderful and flawless that that movie lacks much reality. If Philadelphia featured a lead with some actual flaws, it might’ve been more interesting. The film attempts to balance Andy’s perfection with all the chinks in Joe’s armor, but even then, we don’t get a well-balanced personality. Joe starts out as a cartoon and slowly develops into a real character, but even then, his growth seems easy and unnatural. He’s violently anti-homosexual at the film’s start, and he loses his prejudice without much stress. One minute he hates gays, then the next he goes to parties with them. No, Joe doesn’t make a miraculous change of heart, but he still grows far too quickly for a person with such life-long beliefs. I don’t think the filmmakers believe Philadelphia casts those who go against Andy as villains, but that’s the impression I took. All Andy’s old co-workers seem close-minded and nasty once they turn on him. The only vague attempt to display an aversion to the situation comes from the attorney who defends the law firm; played by Mary Steenburgen, she states that she hates the case as an aside, which alludes to the sliminess involved. That’s all the depth she gets, and none of the others from the firm display anything other than stereotypical beliefs and negativity. The movie never attempts to delve into the core of their thoughts and anything stronger than that. It sticks with simple characters who the audience can easily dislike. Manipulation and political correctness remain at the heart of Philadelphia. The movie doesn’t want to open up to any level of interpretation. It tells us what to think and how to feel. One can argue that the tale really has no wiggle room involved, that it presents such an obvious story of right and wrong that we can’t possible see it any way other than as the filmmakers intend. Perhaps that’s appropriate; I certainly can’t imagine many people will side with the anti-Andy point of view. That said, the movie suffers from its pedantic tone. It feels more like a lesson than a film, as it makes sure we understand Gays Are People Too. They are, and that’s a fine lesson, but the manner of its depiction lacks subtlety and comes across like something we’d see in a public service message. Philadelphia enjoys a sterling pedigree, with an excellent cast and crew behind it. They don’t allow the material to achieve its potential, unfortunately. Utterly predictable and ridiculously politically correct, Philadelphia educates without subtlety or depth. Casting footnote: it’s interesting to see all of the actors here who also appeared in The Silence of the Lambs. I’d not realized how many performers showed up in both flicks. 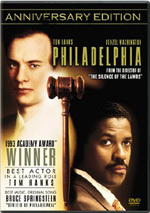 Philadelphia appears in an aspect ratio of approximately 1.85:1 on this single-sided, double-layered DVD; the image has been enhanced for 16X9 televisions. No serious problems emerged during this transfer, but it didn’t usually shine either. Sharpness mostly looked good. A little softness occasionally interfered with a few wider shots, but those elements remained modest. The film usually presented good definition and clarity. No issues with jagged edges or shimmering occurred, but the movie displayed mild to moderate edge enhancement at times. As for print concerns, I noticed periodic specks and grit plus a few streaks and other blemishes. These cause some distractions. One shouldn’t expect much vivacity from the palette of Philadelphia. A gritty, downcast flick, the colors reflect that tone. Much of the movie remained fairly gray, but the hues we did see looked effectively accurate and concise. Blacks were acceptably deep and firm, but shadows tended to seem a little dense at times. The movie had a mild flatness during interior shots. Ultimately, the flick looked good enough for a “B”. As for the Dolby Digital 5.0 soundtrack, it displayed modest scope that made sense for this sort of story. Unsurprisingly, the soundfield stayed heavily oriented toward the front channels. It showed moderate environmental use across the forward speakers, where it did little more than present a general feel for things. Nothing showy occurred, but the movie didn’t need those moments. Music offered decent stereo imaging and spread mildly to the rear. The surrounds didn’t have much else to do, as they gently supported the forward spectrum and that was about it. Some thunder rumbled around the room for a few seconds, which was the most active part of the mix, though Andy’s sickness occasionally put us in his head for some swirling elements. Audio quality was fine. Speech showed a smidgen of edginess at times but usually remained natural and distinctive. Music sounded pretty warm and bright, though bass occasionally seemed a little too strong, at least when we heard Springsteen’s title tune. Effects played a minor role in the film. They were acceptably accurate and suffered from no distortion or problems. Don’t expect much from the soundtrack of Philadelphia, as it presented the material without many flourishes. Whereas the original DVD release of Philadelphia lacked any extras, this new special edition comes with a nice roster of supplements. 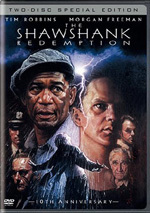 On DVD One, we find an audio commentary from director Jonathan Demme and writer Ron Nyswaner. Both sit together for this running, screen-specific chat. Recorded in 2002, the pair go over a mix of appropriate topics. They start with a discussion of how they got Neil Young and Bruce Springsteen to write songs for the film and they let us know about issues such as casting, the tone of the film, influences and inspirations. They talk about challenges with the presentation of gay characters, cut sequences, and variations between the script and final product. 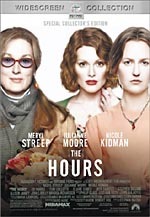 Most of the time Demme and Nyswaner provide a good examination of the film, but they do falter at times. A bit of dead air appears, and they often do little more than tell us the names of participants. Too much happy talk shows up as well, which occasionally makes the track feel self-congratulatory. A fair amount of good information appears along the way, but too many flaws mar it for me to consider it an above average commentary. Over on DVD Two, we start with a set of six deleted scenes. When viewed together via the “Play All” option, these last a total of 11 minutes and 11 seconds. A few look at minor character notes. The most provocative shows Miguel and Andrew in bed; they don’t make out or anything, but shots of two major male stars snuggling remain unusual. The longest clip shows a pre-trial conference run by the judge, and we also see some jury deliberations. None of the snippets expand the movie’s themes or story much, but they’re cool to see. The “Documentaries” area includes two components. People Like Us: Making Philadelphia runs 57 minutes, 43 seconds as it presents the standard complement of movie clips, behind the scenes elements, and interviews. 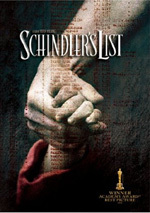 We find notes from Demme, Nyswaner, producer Ed Saxon, executive producer Ron Bozman, production designer Kristi Zea, production sound mixer Chris Newman, makeup artist Carl Fullerton, composer Howard Shore, editor Craig McKay, and actors Tom Hanks, Antonio Banderas, and Denzel Washington (from 1993). The program goes over the early public impressions of AIDS and personal reactions, the desire to make a movie to spread awareness of the issues and its path to the screen, real-life inspirations for the film, casting and characters, the use of HIV-positive actors, naming the film, Hanks’ physical transformation, problems with the opera scene and the cut sequence in bed, the title song and opening piece, the score, and its reception and legacy. Expect to hear a fair amount of information repeated from the commentary. However, a lot of new material emerges in “Us”, which presents a solid overview of the production. It emphasizes a more personal side of the filmmaking experience, as we get a feeling for those dimensions of the project as well as the usual nuts and bolts. These make “Us” informative and occasionally moving. I like the documentary so much I wish I thought more of the flick itself. An inspiration for the movie, One Foot on a Banana Peel, the Other Foot in the Grave lasts 78 minutes and 32 seconds. Demme refers to the program in “Us”, and those comments appear at the start of “Peel”. Created by Demme’s friend and AIDS patient Juan Botas back in 1992, it shows the patients and staff at a New York clinic. We see their treatments and hear candid conversations about the various issues. The impromptu nature of the video footage makes it tough to understand what’s being said at times, but the material’s worth the effort. “Peel” creates a touching and powerful look at life with AIDS. Next we get four minutes and 24 seconds of Courthouse Protest Footage and Interviews. This isn’t real footage. It’s staged material created for the movie. We see a little of it in the film, so it’s interesting to get a raw glimpse of the shots. Look for writer Nyswaner as one of the protesters. After this comes the music video for Bruce Springsteen’s “Streets of Philadelphia”. Also found on Springsteen’s Video Anthology, it presents the song in a simple manner. Bruce wanders through a dilapidated area of Philadelphia as he sings the song. Note that Springsteen does actually perform; it’s a live vocal, not a lip-synch rendition. The video’s basic and effective. The film’s Original Making-Of Featurette takes five minutes, 57 seconds. It includes remarks from Demme, Hanks, Washington, Robards, and Steenburgen. It’s nothing more than the standard promotional blather. A fun piece, we get the 60-second Joe Miller TV Spot. This is the ad that occasionally appears in the background during the movie. It’s cool to see it on its own. Filmographies appear for director Demme, writer Nyswaner, and actors Tom Hanks, Denzel Washington, Antonio Banderas, Jason Robards and Mary Steenburgen. Finally, the disc ends with a collection of trailers. We locate ads for Philadelphia as well as fellow Hanks vehicles A League of Their Own and Sleepless in Seattle. Well-meaning in the extreme, I appreciate Philadelphia for its attempts to spread a message of tolerance and understanding. Unfortunately, these strengths also become weaknesses as the movie quickly turns one-sided and patronizing, with little room for debate. The DVD presents pretty good picture and audio plus a very nice set of supplements highlighted by two terrific documentaries. If you’ve not seen Philadelphia, I don’t think it’s worth your time unless you plan to use it for some sort of classroom lesson. If you know you already like it, this DVD offers the best version of the film on home video. The picture and audio quality are nothing special, but the strong extras make this a memorable package.